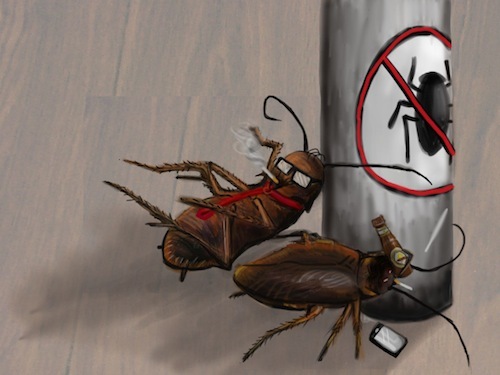 This entry was posted in Japan, Living Abroad, Teaching Abroad, Travel and tagged cockroach, culture shock, gokiburi. Bookmark the permalink. First I read ‘On Madness and Sushi’ (go figure). You can imagine my confused mind at work trying to guess the missing links between mutant-roaches and the imagined deliciousness. Hahaha I appreciate the effort but that is truly awful! Largely round here their presence is due to the heat and incredible humidity. In my apartment it’s simply that it’s an old building so they can get in and the reason there were more at the start and not a single one for months and months after is simple. There was no one here for two/three weeks before I’d moved in. Once I was here and I’d scattered poison all over the place I found that they largely buggered off entirely. However, I never want to hear about your tropical example again…. brrr that’s just… brr. I really enjoyed … in a grisly, grimacing, shivering way … this post. 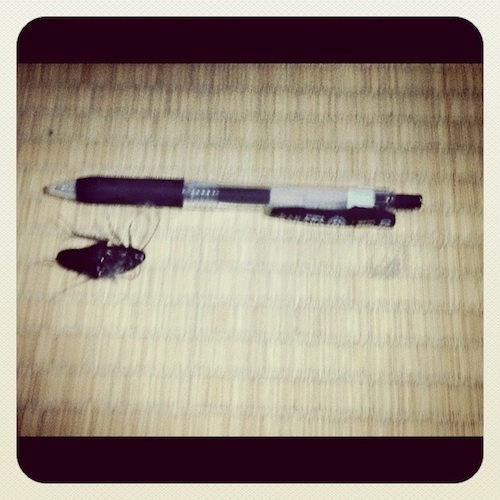 I saw a few monsters in Africa’s jungles, but they never upset me as much as the smaller ones in my Tokyo apartment. Not sure why – perhaps because I expect them in the bush, but not in my home. Begone, Satan! Glad you enjoyed it. Just had a quick gander at your blog too, fascinating stuff. Gokiburi do seem to bring out something kind of feral or primitive in me. I think you’re right, it’s the invasion of the home stuff that does it.